Kepulauan Seribu - More than 100 employees of Toyota Indonesia whose joined in an employee's environment-friendly organization, Toyota Indonesia Adventurers Club (TIAC), planted more than 10,000 mangrove trees at Pulau Pramuka – Kepulauan Seribu as a form of concern to the environment on Saturday, 23 May 2015. The mangrove planting event which was attended by the Regent of Kepulauan Seribu, Tri Margianto and Head of Kepulauan Seribu National Park, Wahju Rudiyanto, was an initiative of Toyota employees to participate in minimizing the impact of abrasion and preserving the environment. This employee's voluntary activitiy also supported by the management of PT Toyota Motor Manufacturing Indonesia (TMMIN) and PT Toyota - Astra Motor (TAM). "We welcome and support the action as a positive activity in preserving the environment. We hope this event could inspire more parties to be able to provide a real contribution to the environment," said Made Dana, TMMIN's Director of Corporate and External Relations TMMIN. The mangrove planting site was selected by reasons that Pulau Pramuka as an administrative center and tourist's attraction point in the Kepulauan Seribu region is not spared from the threat of sea water abrasion that needed to be fortified by mangroves as coastal protection. Not only planting, TIAC will also maintaining those mangrove trees until they can grow well. This year's planting activity is a continuation of two similar programs in 2010 and 2013. 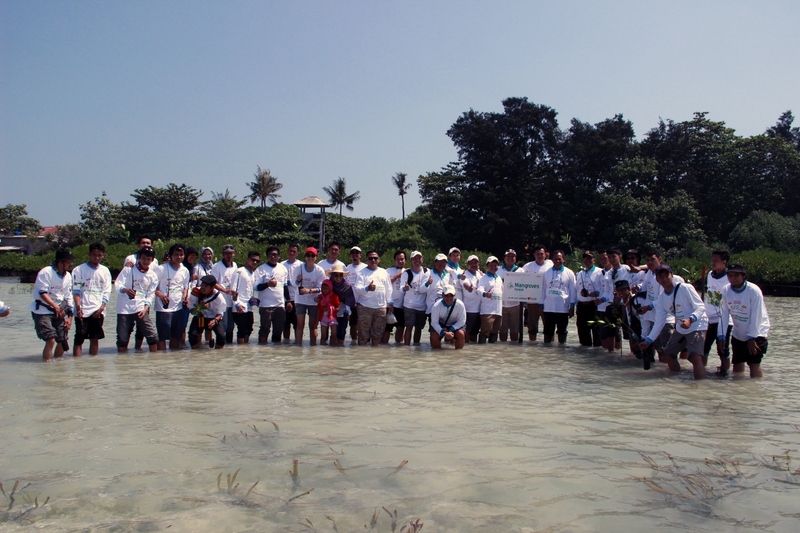 In total, employees of Toyota Indonesia has invested more than 21,000 mangroves on Pulau Pramuka. Rahmat Samulo, TAM Marketing Director stated that in addition to the activities that were initiated by the employees, as a corporation, Toyota Indonesia also active in environmental conservation programs in the form of hard-wooden trees and mangrove trees planting in various locations such as Jakarta, Karawang, Bogor, Sragen, Bantul and others. "So far, Toyota Indonesia and its group has planted more than 700,000 mangrove trees and 150,000 hard-wooden trees. Furthermore, we will continue to pursue a variety of sustainable environmental conservation activities," added Samulo. Toyota is committed to grow together with the people of Indonesia in accordance with the spirit of Toyota Berbagi (Bersama Membangun Indonesia) by providing its products and technologies that suitable to customer needs, being a part of the the national automotive industry development, and proactively participating in social-community based activities .